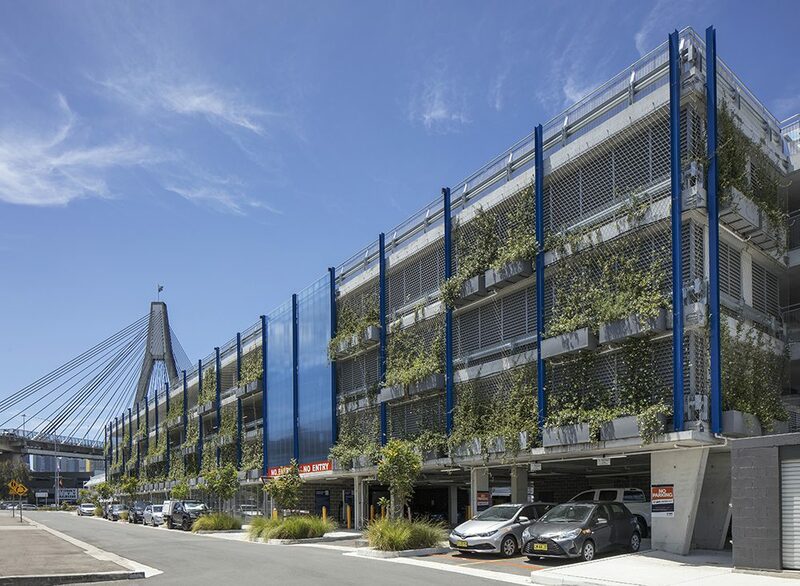 Our team recently partnered with Junglefy to construct a feature facade for the carpark at the Sydney Superyacht Marina. The marina was built to accommodate visiting yachts for the 2000 Olympics, and is the largest facility of its kind in the southern hemisphere. Close to the CBD at Rozelle Bay, the marina offers berths for yachts up to 75m. The marina’s carpark is located right on the waterfront, in full view of the Glebe Island Bridge. 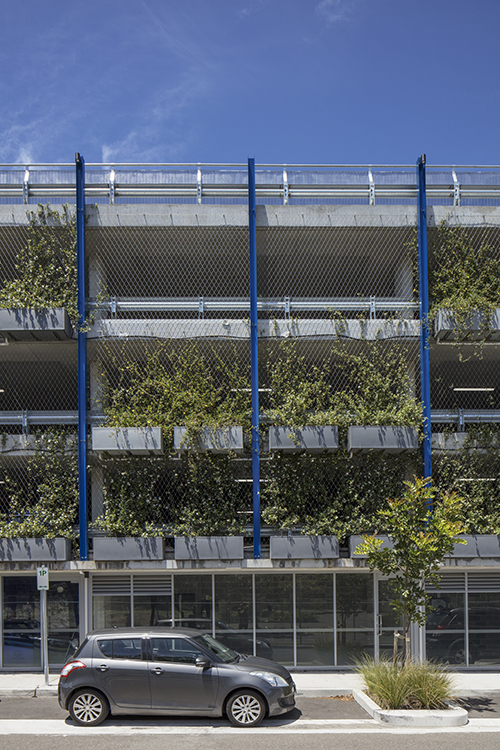 The project brief was to transform and beautify an otherwise uninspiring carpark with a green facade. The aim was to soften the impact of the building against the landscape. The facade uses the planter box approach. 92 planter boxes containing plants pre-grown by Junglefy have been cantilevered off concrete slabs on two sides of the carpark. 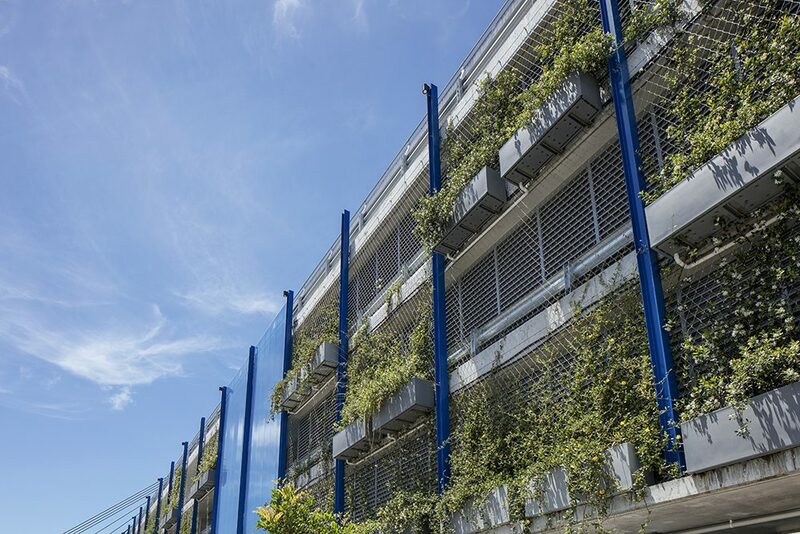 1,600m2 of our webnet mesh supports the climbing plants, while also acting as a balustrade to provide fall protection. The mesh took just over a week to install. We also designed the concept of how the planters would hang from the building structure, without harming the mesh or interrupting the installation. 100mm-apperture mesh was selected for the project. This size mesh meets safety standards while still providing a large enough opening for the climbing plants to spread. 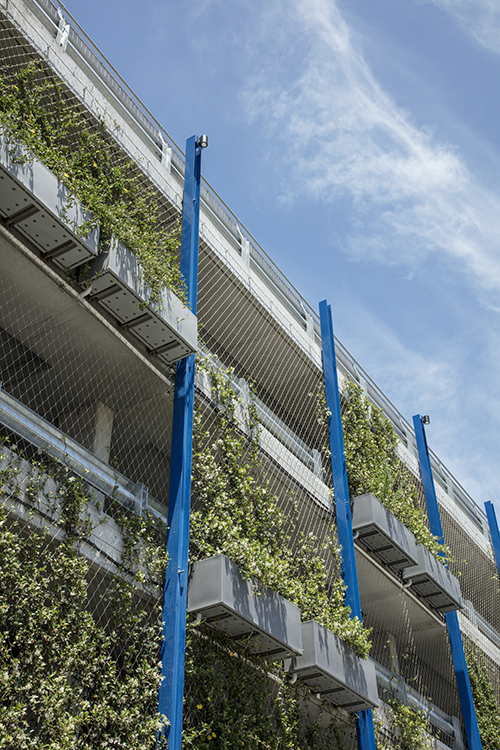 The combination of Tensile’s mesh and Junglefy’s plants creates a lush green feature that stands out against its surrounding industrial environment. The plants also provide a measure of cooling and shade and filtration of pollutants. 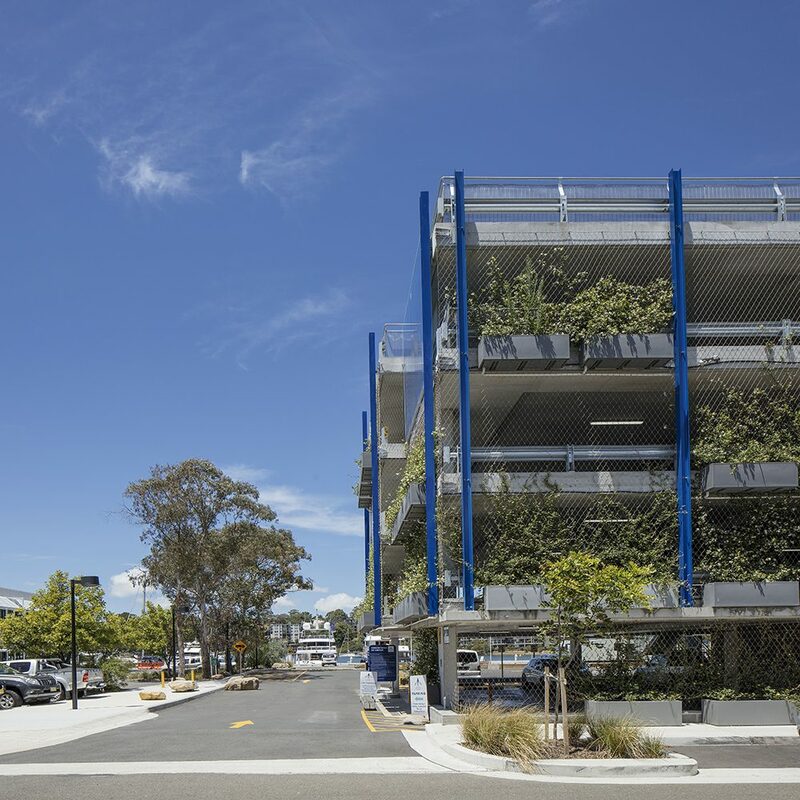 This project demonstrates how green facades for carparks can successfully transform an industrial area with natural elements. We are very pleased with the results, and are proud to have been a part of this unique project!